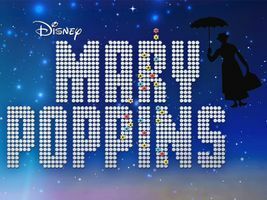 STUART CHAFETZ conductor NEW JERSEY SYMPHONY ORCHESTRA Step in time, it’s one heart-tugging, toe-tapping song after another in the beloved film Mary Poppins! This family-friendly, symphonic cinema event features the five-time Oscar-winning Disney classic film unfolding on the big screen with the NJSO performing the charming and delightful musical score. Don’t miss this Supercalifragilisticexpialidocious wonder live with the NJSO! Presentation licensed by [Disney concerts logo] © Disney All rights reserved. Apr 14 performance presented in collaboration with State Theatre New Jersey.